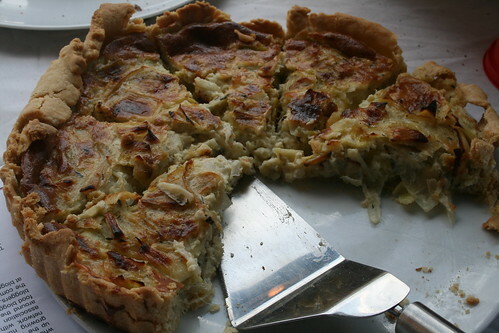 Thanks to MsMarmiteLover for the photo. After weeks of preparation the first UKFBA stall was unveiled last Thursday and it was a huge success. Chris Drefus, from the blog ‘More Tea, Vicar?’ bravely volunteered to take the first slot, offering to bake his own breads and cakes. As he discovered, baking on a commercial basis in a domestic kitchen with one small oven and just a few loaf tins and baking trays is quite a challenge, but he rose to it tremendously, staying up until 3am baking. It was all rather manic for him in the days leading up to the stall, rushing around buying ingredients, getting the health and safety people to visit his kitchen, deciding what to bake. 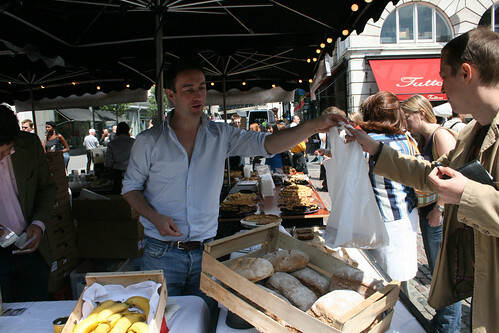 Like most of the people who will be at the stall, Chris is not a professional baker and has never sold his goods commercially before and so it was a brand new experience for him. Watch the video, filmed at the stall, to see what he has to say about it. Although the stall is in London the UKFBA is a national association and we have members organising meet-ups and events across the country, which is wonderful to see happening. So, if you live outside of London and would like to get involved with the UKFBA community visit www.ukfba.co.uk to see what’s going on in your area, or to get something organised! And if you’re in London do stop by the stall, which will be at Covent Garden every Thursday through the summer, to say hello. 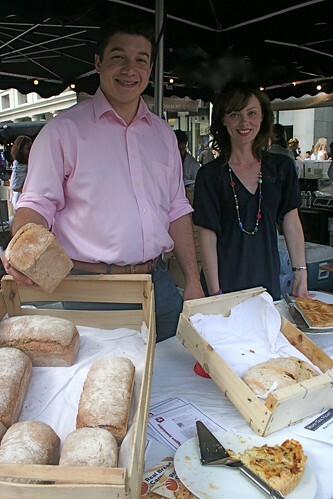 This week the stall will be hosted by one of our selected producers, Boutique Bakehouse. Excellent Andrew, will be good to see you! I'm going to be back at work next week but hope to stop by in the evening. That's lovely! I wish I were there. Best of luck to all the participating UK food bloggers. That looks like it's going to be a great success!